In Canada, I went to St. Louis Bar and Grill (there's multiple locations) with my cousin Liz and her friends. The atmosphere inside the bar had a nice vibe and was relaxing. Liz recommended to try the chicken wings because that's what they're known for! There was a variety of chicken wings to choose from like Honey Garlic, Sweet Asian BBQ, Hot & Honey, Authentic Buffalo, Curry, Suicide, and Hotter Than Hell. I chose the Jerk Chicken flavor because I never tasted that flavor before and loved it! Even though I was full before I came to the bar, I ate as much as I could. As for the fries, I don't know if it was the type of oil or potatoes used to make them taste good, the fries to me were awesome! 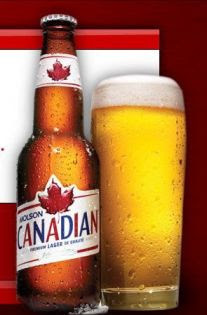 I also enjoyed a Molson Canadian Beer. I drank it like water!